These were introduced in 1964.Unfortunately the work they were designed for disappeared shortly afterwards and all were withdrawn from BR usage and sold to Industry by around 1968.A solid 0-6-0 shunter that has lasted well and out of 56 built 19 have made it into preservation all over the country. D9516 was a bit of a orphan almost as soon as it was built in 1964.The work it was designed for quite simply dried up and within 2 years of introduction was stored.In 1968 after just 3.5 years of sparodic service it was sold the BSC who used it until 1981 after which it entered the world of preservation.A good design that just wasn't really needed hence the early BR demise.Of the 56 loco's built 24 still survive in various locations either in the UK or on the Continent. 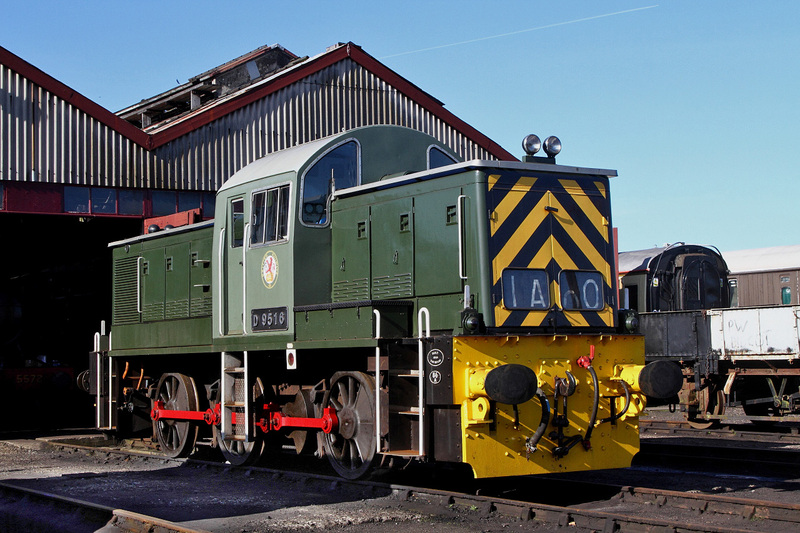 The one seen here at Didcot Railway Centre apart from the cast numberplates is in virtually as-built condition. I wouldn't want to throw one of these 'teddy-bears' out of my pram! Here 2 of these loco's D9520 with resident D9528 ease round the corner into their booked stop at Washford on the West Somerset Railway during a Diesel-Gala there. 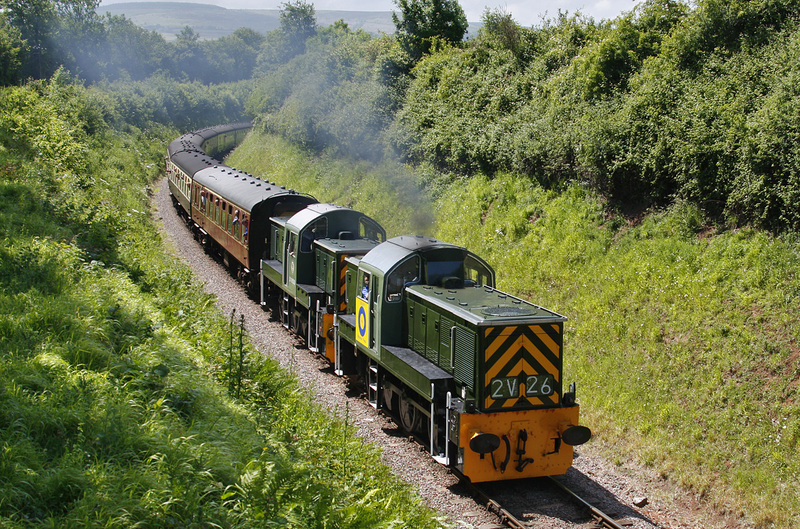 Note leading engine (9528) is wearing a sticker recalling the use of this class as an Industrial Shunter at Westbury Cement Works after being made redundant by BR in the late-sixties.